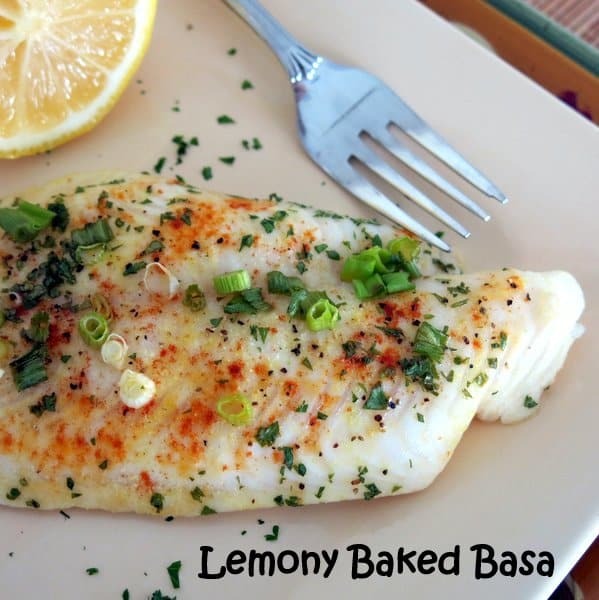 Light and lemony baked basa is as delicious as it is pretty. It’s a quick and easy recipe. 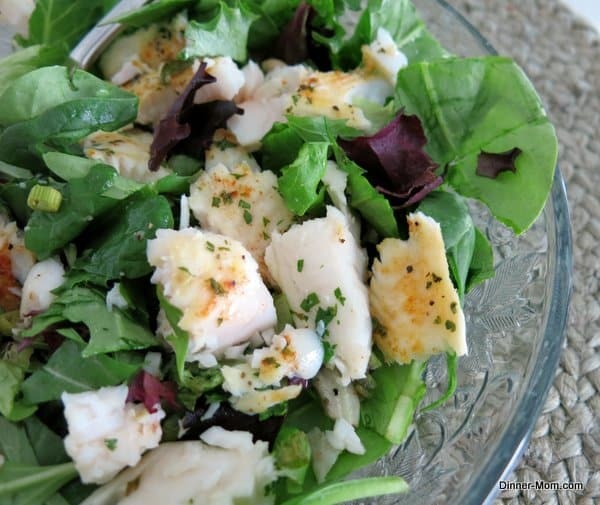 This recipe works well with many types of fish including mahi mahi, swai and tilapia. It even works on Baked Lemon Pepper Chicken. But, it is spectacular on basa. I pick this fish up at my local supermarket–nothing exotic going on here. It has a moist, light-firm texture and a very mild fish flavor. That’s what makes it so popular these days. It easily soaks up the lemon, butter and spices in this recipe. You won’t believe you are eating a cousin to a catfish! I partnered with Darlene Hardister-Heumann who created this recipe for her cookbook, The Southern Sass Cookbook: It’s All in the Sass! and offered it at our meal assembly store. It was a hit! The preparation is E-A-S-Y. Pour the melted butter and lemon over the fish and then sprinkle the rest of the ingredients over the top. Or, use pats of butter that will melt during the cooking process. I have adorable measuring spoons with these labels. 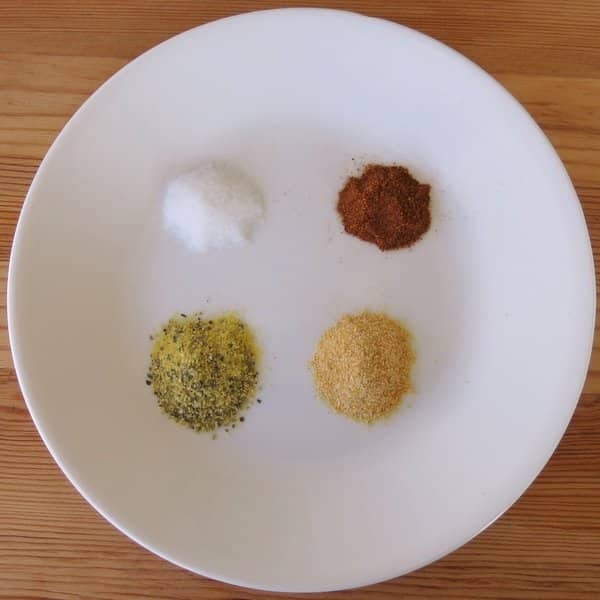 But, you don’t need them…just evenly sprinkle the spices over the top of the fish. Lemony baked basa is great over salad greens or in a fish taco too! Doesn’t it just shriek healthy goodness? You’ll see just how easy it is to make in this 30 second video…any mild white fish works. Tilapia is used in the video. Pin it for later or scroll down to the recipe! Lemony baked basa fish with fresh green onions and parsley. Gorgeous presentation and delicious. Great over salad greens and in tacos too. Pat fish fillets dry and place in a baking dish sprayed with cooking spray. Pour lemon juice and melted butter over fish. Sprinkle remaining ingredients over fish. Bake uncovered for 10-12 minutes or until fish flakes with a fork. This can be made ahead and frozen in aluminum baking tins. Freeze for up to two months and defrost in refrigerator for 8-12 hours before serving. Adapted from The Southern Sass Cookbook. 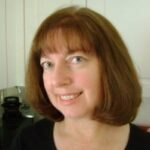 Use margarine to keep recipe South Beach Diet Phase 1 compliant. Thanks for sharing. I’m so glad you enjoyed it! Hi do we grill or bake the fish in oven and for how much time? Bake in a 425 F oven for 10-12 minutes. Enjoy! This recipe was way easy and super-yummy! I minced garlic along with the green onion and big hit. My husband loved it and requested it again. A friend of ours even called me a chef, which is so far from the truth it’s hilarious. Thanks so much for the recipe! I’m thrilled that you and your family liked it! It’s so colorful and easy…it’s a favorite of mine! Thanks for your comments. I’m glad you like it! Wow, so good. I’m a college student and made this, really easy. Do you think I can sub the Basa with Salmon? Hi! I’m so glad you like it. It sure wouldn’t hurt to try! I find personally that I like stronger sauces and spices with salmon, like ginger and soy sauce. I love this recipe…I also like smoked bass..and morrisons do lovely fillets with out a hint of a bone…but back to your recipe…suuuperb…I did mix boiled eggs,quartered,salad,homemade potatoe salad..and coleslaw ..and the combination was so light and yet fulfilling…Thankyou.. Thanks so much for your comments! Sounds delish! Very nice recipe! Previously, I had only ever used basa in battered fish and chips but I really enjoyed the light fresh flavour of this dish. I paired it with lemon and zucchini spaghetti which complemented it perfectly. Sounds like a perfect pairing! Thanks for commenting! I’m so glad you liked it…I’m going to try it with dill next time! Sounds delish. I’ve done it with cilantro which is also tasty! The fish didn’t cook. I had it on 425 degrees for the recommended time – centre was still raw. I kept putting it on an additional 5 minutes at a time – 15 minutes later, still raw in the centre. I ended up wrapping it in foil and finishing it that way. No idea why this didn’t work for me, but it was awful. Mine aswell. I ended up putting it in for an additional 12 mins and then it wasn’t slimy and nothing but delicious!!! I don’t mean to degrade any comments but make sure you preheat ovens before cooking anything. I found it to be best at 425 for 20 mins. This recipe looks just right for me. I’m having a dinner party in a couple of days. I’m wondering about how to deal with frozen basa fillets. They are stuck together a bit. I’ve usually cooked frozen fish without thawing first. I’m thinking to just thaw these enough to get them separated. I’ll just toss a crushed garlic clove into the butter as I melt it as I don’t have powdered garlic. Do you think that would work? Made this for dinner just now. So delicious, easy and quick! Thank you! This was delicious. A few cracks of black pepper really brings the flavour out and accents the lemon nicely. I’m so glad you enjoyed it! Thanks for your tip! AMAZING RECIPE. COMPLETELY BALANCED FLAVOURS. The dynamic. Oh so good. we will definitely have this at our table again!!! Thanks so much for your feedback! Love the mushrooms! Thanks so much for your feedback…made my day! I’m so glad you liked it! EXCELLENT – I cannot believe how good. AND you had a recipe for one serving -GREAT I did not have all fresh ingredients and used bottled lemon juice, jarred minced garlic, a mixture of both butter and margarine, chopped up some regular yellow onion and did not have any parsley. It still turned out GREAT ! ! ! Can only imagine how good it would be if I had fresh ingredients. I also cooked from frozen – 1/2 hour at 400 degrees. Came out perfect 🙂 Thank you Sooooooo much for having a recipe for one serving. When you live alone, you don’t need recipes for 4 – 6 – 8 people. Thank so much for your comments. I’m thrilled that you enjoyed it. I make this recipe every time I make basa! 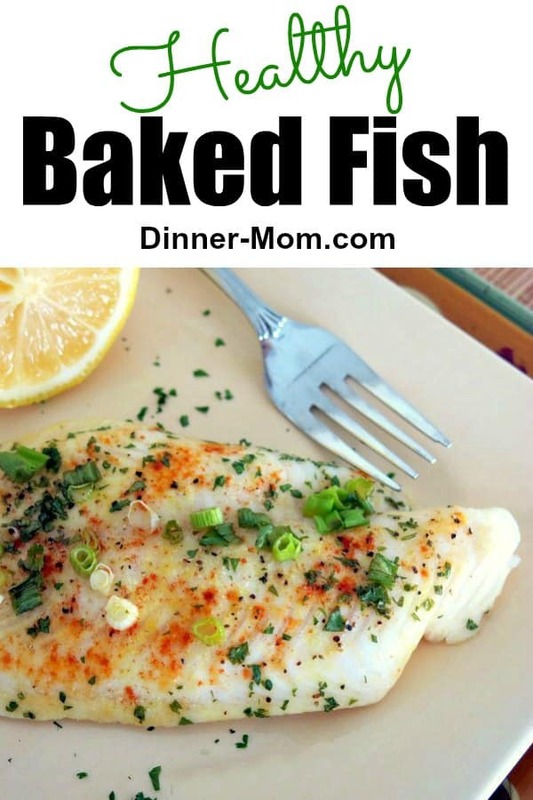 It’s so easy and compliments the flavor of the fish really well. I recommend chopping up a clove of garlic and adding that too. I’m so glad you enjoy it! Thanks for sharing the garlic tip! I’m so glad you liked the recipe and am so sorry about your experience. We are continuing to try and improve the user experience and value your feedback. I made this and added grated Reggiano Parmeigiano at the end and did a quick broil when it was almost done. Wow! Outstanding! Good enough for company! A recipe i’ve gone back to again and again. Even my fussy 5 year old son loves it! I love that the fish isn’t coated in batter – a clean taste, just fish and seasoning. Delish!! Finally that is my first time this the cooking . Wow it real taste sooo freaking so good !!! My roomatte and his children love it !! Thank u for tip this a post !!! I’m so glad you enjoyed it!!! Thanks for your feedback! Hi Marjory, can you give more recipes on salmon? I’m a newbie to your website. I loved the sound of the recipe and love Basa so I had to make it tonight. Learning from my mother, I can’t just make the recipe as is. Also, having kidney failure, diabetes and congestive heart failure, I have to watch my sodium intake so … used more lemon juice, used Blue Menu Presidents Choice Lemon & Herbs (available at Real Canadian SuperStores) – no salt added and True Lemon (available on both sides of the 49th parallel). 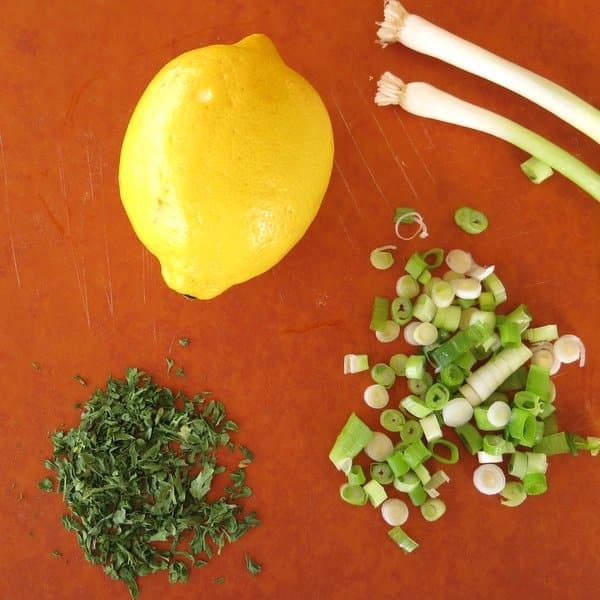 When I was diagnosed with kidney failure, I started to use lemon juice and True Lemon in place of salt in most dishes. Oh yes, I also added some freshly grated orange peel. We got a really tasty gravy which I’m keeping for another meal. Thank you for your recipe and website. Love your tips…will be adding some zested orange next time for sure! I’m so glad you enjoyed it! Of I use u salted butter will it have a different taste? Hi! You shouldn’t notice much of a difference! Wow! I loved this!! I ended up putting the Basa on the grill (with a BBQ grill sheet so it doesn’t blacken) and added some fresh zucchinis and tomatoes and delish! My boyfriend loves this meal and I’ll definitely make more of this dish. Absolutely delicious! Most people I have asked do not know of basa and how tasty, healthy, inexpensive basa is! Thanks so much for your comment! I’m so glad you enjoyed it!